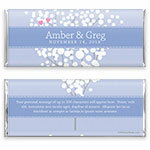 This sweet design is the perfect choice for a winter wedding. Design: Snowy tree with heart accents. 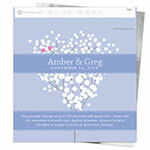 Personalization: Front names, date and message on the back.